Hart Publishing is delighted to announce the publication of ‘The Constitution of Belgium: A Contextual Analysis’. It offers an exclusive 20% discount on the book for subscribers and readers of the BelConLawBlog. The Belgian Constitution, once described as a model of consensus democracy, has now become an enigma in comparative federalism. On the one hand, it demonstrates features which suggest institutional instability as well as elements that enhance the probability of secession. On the other hand, Belgium continues to exist as a federal system, based upon linguistic bipolarity. This linguistic bipolarity dominates Belgian politics and has shaped the design of Belgium's institutions as well as the Constitution's fundamental organising principles: concepts of federalism, democracy, separation of powers, constitutionalism and the rule of law. 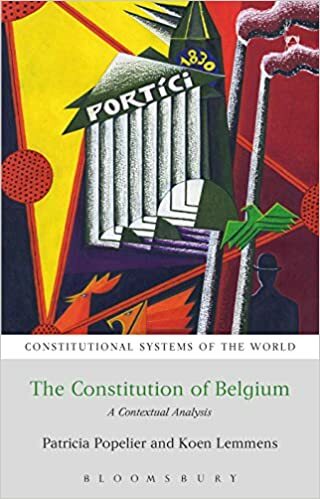 In this book, the institutional structure and the principles governing the Belgian constitutional system are explained in the light of its historical, demographic and political context. Linguistic bipolarity and its historical evolution explain the establishment of the Belgian State structure as a dual federalism, with exclusive powers, instruments for consensus making and obstruction, and elements of con-federal decision-making. It also explains the evolution in the concept of principles of democracy and the rule of law. Besides describing the devolutionary process, the book also incorporates two other elements that have shaped the Belgian constitutional landscape: fundamental rights and Europeanisation. If you would like to place an order you can do so through the Hart Publishing website. To receive the discount, please click on the ‘pay now’ button on the right hand side of the screen. Once through to the ordering screen type ref: CV7 in the voucher code field and click ‘apply’. Alternatively, please contact Hart Publishing’s Distributor, Macmillan Distribution Limited, by telephone or e-mail and quote reference CV7 when placing your order.